Alfa Romeo is an Italian luxury automaker that hasn’t sold a mass-volume model in this country in almost 25 years, since the 1995 164 sedan. So it’s exciting for those who are looking for something different to the typical offerings from Germany (BMW, Mercedes-Benz, Audi), and Japan (Lexus, Infiniti, Acura). However, launching a new car brand in one of the most competitive car markets in the world is no easy feat. Not too long ago, we took up the opportunity to have lunch with the director for Alfa Romeo’s North American operations, Pieter Hogeveen, in Manhattan. There, we sat down with Mr. Hogeveen for an exclusive interview to see what the plan is for the coming years. Digital Trends: Where do you see Alfa Romeo in five years ideally? Pieter Hogeveen: What I think is really important right now, with introducing just two vehicles into the market, is to make sure we establish a good dealer network, which will help carry the volume. So with the Stelvio and Giulia at launch, it will really take a year or two for them to reach full sales volume potential. Then, we can look at where other potential exists in the market. We’ll always be premium and aim for premium markets. So premium brands as in, Audi, BMW, Mercedes-Benz, Lexus, Infinti, etc…? Yes. Primarily, the “German Three,” as we refer to them, they’re the ones we really go after. From what we’ve really seen so far, people are coming out of those vehicles, looking for something new. And I’ve always made sure that when we came back with Alfa, we give people something different, not just a car that looks different, but drives different. Having all unique times that the competition doesn’t offer. Little things that people expect from an Italian automaker, like the Giulia’s carbon fiber driveshaft. Everyone seems to be into crossovers. Is that the kind of lineup you envision for the company? When we look at the future, we must also look into what makes sense for the nameplate. It’s so easy to rebadge something and put into the segment, for us, it’s important to deliver the right ones. We won’t necessarily copy someone else, as we have to make sure it lines up with what Alfa Romeo has to offer as a unique brand. What model would you like to see come to the US from the European market? 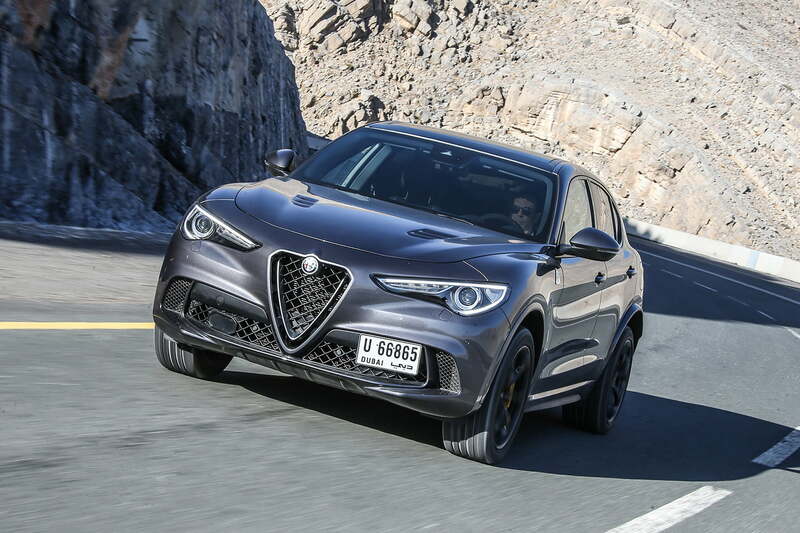 This might sound a bit cheesy, but right now I’m really look forward to introducing the Stelvio Quadrifoglio to the market. 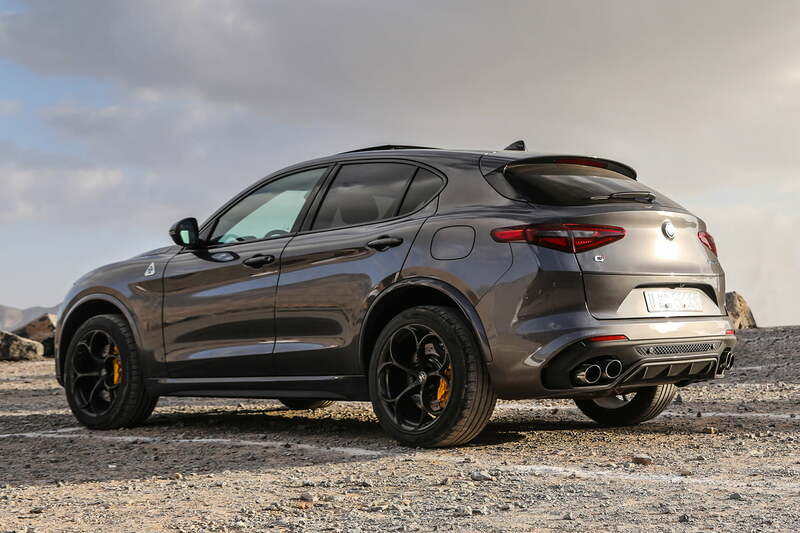 Over the 30 percent of the market consists of crossovers and now we offer best-in-class performance and it can go head-to-head with many fast cars, based on its Nurburgring and 0-60 times. We plan to officially introduce it in April. I recently test drove the regular Giulia sedan. Is there a chance we can see an engine slot in between the standard version and the Quadrifoglio’s twin-turbocharged V6? I still think there’s a good market for electrified vehicles and only the future will tell if I’m right or wrong. If we look at the competition, cars from BMW and Audi have 240 horsepower two-liter engines. I think our 280 horsepower engine with 306 pound-feet of torque says that it’s already a high-performance engine. I think what we offer in our lineup is very good, there’s a very clear focus as well with the Quadrifoglio, our halo car. That gets its own attention with the twin-turbo V6. Based on our market segmentation, we’re already at a four-and-a-half percent market share already, I think this engine and transmission combination reflects what’s good for the market today. What are some of the challenges the brand has faced reentering the US market? We already think we have the great product, the vehicles are performing well, even from an engineering perspective. But it’s also important for us to build that dealer network, making sure they’re in the right location. And awareness. Especially when you go into the midsize SUV segment. Our “Alfisti,” or our Alfa enthusiasts, know about the Giulia. But people driving a BMW X3, and Audi Q5, might not know what a Stelvio is. We need to start building that, building that awareness. 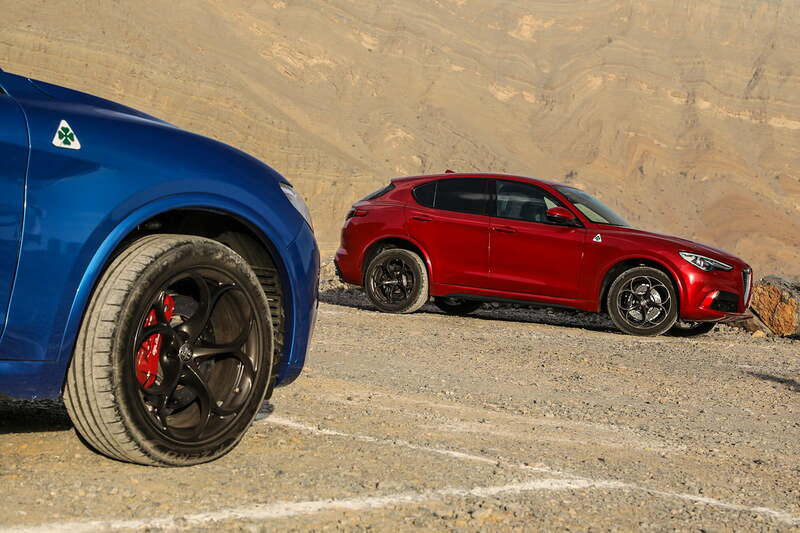 So launching a brand, the Giulia, and the Stelvio with the proper dealer network all within two years’ time, right now is our biggest challenge. Are there standalone dealerships? Where can one buy an Alfa? Of our 176 dealers, 124 are partnered with Fiat locations 64 are partnered with Maserati. We know the Maserati and Alfa locations go very well together. But we have to make sure the volume is there before we start really building a standalone network. What are your thoughts on electrification and/or hybridization? I don’t know. Based on what we see in the industry, we see high-performance brands introduce gas-powered engines that are very efficient. There’s a lot of opportunities, there’s a lot of stuff going on. But, from what we see, I still think there’s a good market for electrified vehicles and only the future will tell if I’m right or wrong. What’s your favorite Alfa, currently in production? 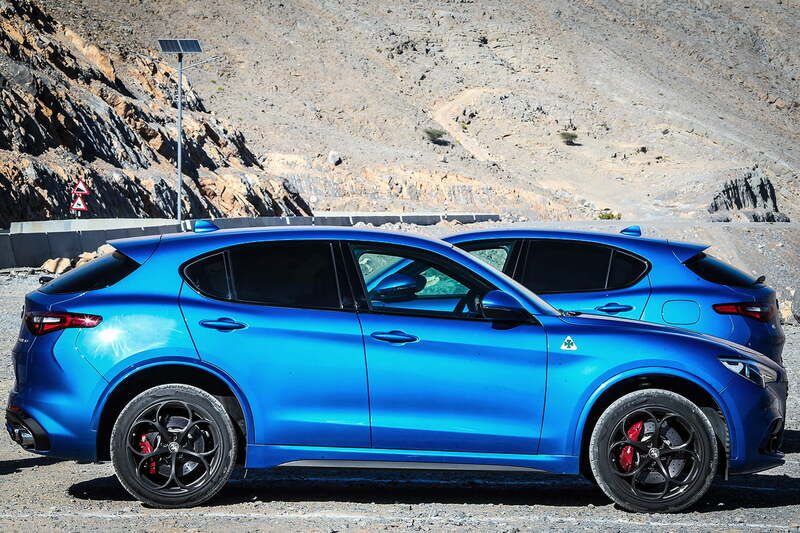 My favorite current is the Stelvio Quadrifoglio. For me, it stirs the car’s segment up and it’s the car’s performance numbers and test figures that stand out for me. 1967 or 1968 Tipo 33 Stradale. To me, it’s one of the most beautifully designed vehicles, only 18 made, very high horsepower. And that platform, it became the platform for so many future vehicles during that time. And again, it’s just beautiful to look at. As for one I can actually afford, a ’69 GTV Alfa Romeo. I myself currently own an ’77 Alfetta GT. Will we ever see Alfa diesels in the US? We’ll have to see where the market goes. Right now, we’re uncertain. Even in Europe, like London and Paris, diesels are being blocked, so it all depends on how the market goes. Will we ever see manual options or cars like the Giulia? 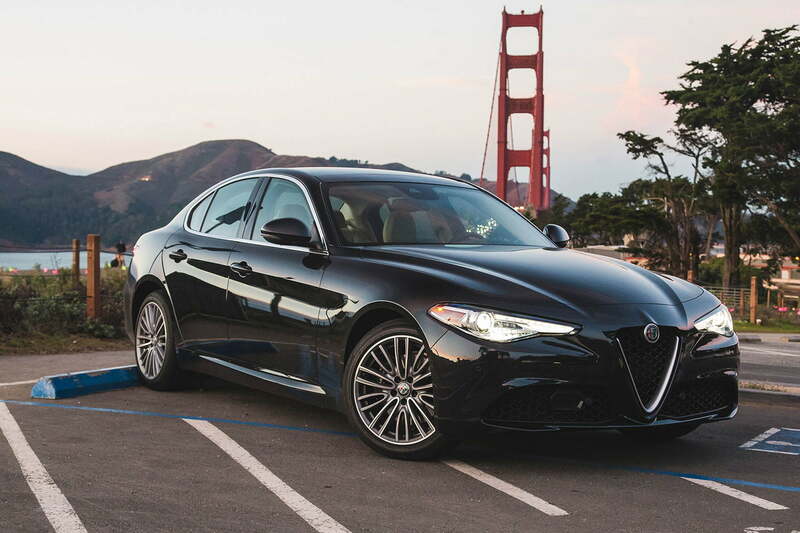 We set out to build the best performance car in its class and from just a performance perspective, the Giulia’s eight-speed automatic really provides that. We think a manual in this segment would represent a compromise, and we don’t really want to bring that to the customer in this market.